Yes. We have a hot air balloon. Off Your Rock'r has partnered with Wine Country Balloons of Sonoma County to take rocky road afloat! 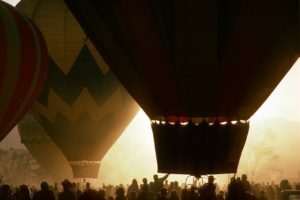 Wine Country Balloons is the oldest hot air balloon agency in Sonoma County. With over 35 years flying over lush vineyards, redwood forests, the graceful Russian River, and Geyser Mountains, we are thrilled to have them represent Off Your Rock'r in the sky! Our OYR Hot Air Balloon will make its' maiden flight this fall at the Albuquerque International Balloon Fiesta. The AIBF is the largest annual balloon event in the world. Stay tuned for pictures from our maiden flight! Copyright © 2019 OFF YOUR ROCK'R. Proudly powered by WordPress.